Note that this route map is hard to see when zoomed fully out. Zoom in to your area to see the actual impacts. 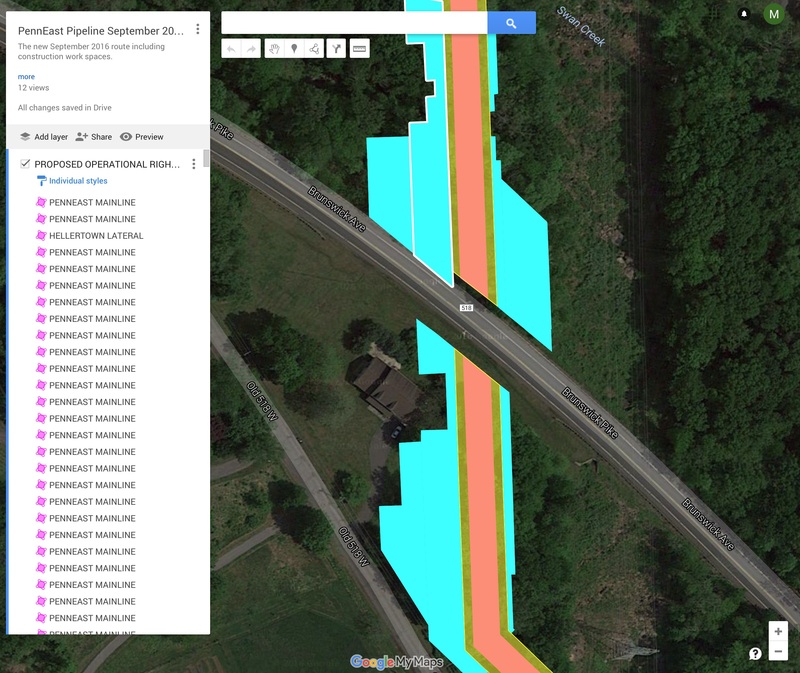 The orangey-beige line in the center is what PennEast is calling the “operational” right-of-way for the pipeline. This is what they will keep clear-cut forever, and varies from 35′ to 50′. The yellow area outside of that is the “legal” right of way. This is the 50′ area centered over the pipeline. 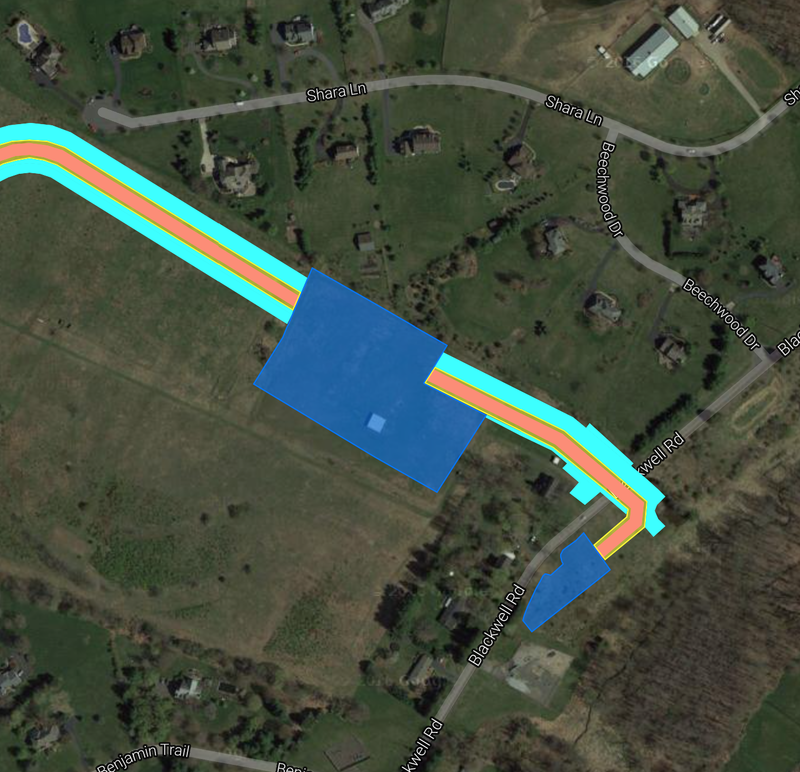 The blue areas show the “temporary construction” areas. These will also be clear-cut of trees. This is the first time they’ve put the temporary construction areas into an easily used Google-map form for people to look at (note: after the DEIS comment period, of course!). Here you can see a big blue rectangle in the middle of the screen and then no more blue below it – the rectangle is the HDD entry/exit staging area. This sample is from the terminus of the pipeline route in Pennington. These are the Transco interconnect and Transco receiver site. If you have any questions or issues with the maps please don’t hesitate to email thecostofthepipeline@gmail.com. The map links on this site and on http://pipeinfo.org have also been updated.